The classic clean lines of this iconic design will never go out of style. 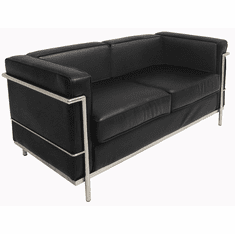 Eye catching chrome finish over strong steel channel frames offer both strength and style for your busy reception area. 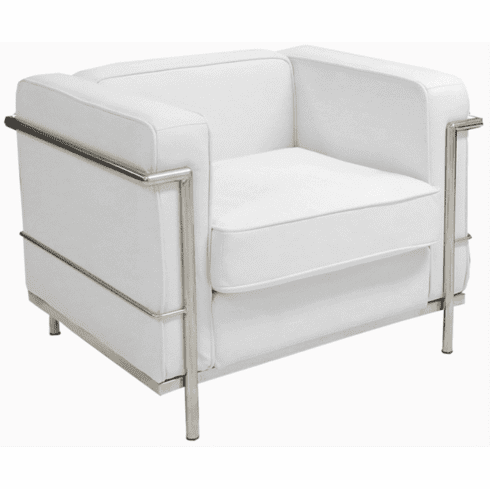 Upholstered in white or black extra soft bonded leather for your comfort as well as easy maintenance. Seat cushions fasten in place securely with Velcro yet can be removed easily for cleaning. Ships completely assembled. 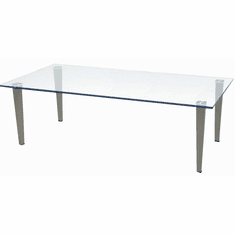 Measures 35-1/2"W x 29"D x 26-1/2"H overall. Seat height is 17"H. Shipping weight 70 lbs. All components exceed ANSI/BIFMA commercial use requirements. Meets CA fire foam approval. 5-Year Limited Warranty. PRICE INCLUDES SHIPPING! (Truck shipment - see Terms & Conditions). IN STOCK!